The former president and current House Speaker, Gloria Macapagal Arroyo, is also the co-sponsor of a new medical cannabis bill. Robert Lloyd Schellenberg's sentence has just been changed from 15 years in a Chinese prison to execution. In Italy, cannabis light doesn't exceed the legal amount of THC. EasyJoint is capitalizing on this legal loophole. We went to Europe to report from the CND meeting and the FAAAT sustainable cannabis tradeshow. This is what happened. 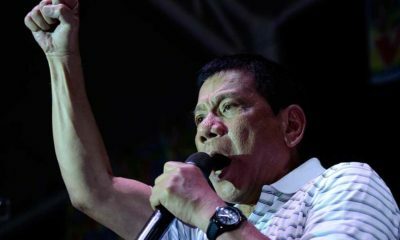 The Philippines president who encouraged citizens to murder addicts riffs on using cannabis to stay alert.